By 2007, sixty-one year old Klaus Dinger was a veteran of German music. He had been a member of three of the most important, influential and innovative German groups of the past forty years, Kraftwerk, Neu! and La Düsseldorf. Despite enjoying such a long and successful career, Klaus Dinger hadn’t lost his appetite for making music. That was why in the summer in 2007, Klaus Dinger found himself in the Zeeland Studio. He watched on as all the equipment from his Lilienthal Studio was moved into Zeeland Studio. This was in preparation for the recording of a new album with Japandorf. Despite being a veteran of more recording sessions than he cared to remember, there was still an air of excitement and anticipation as preparation for the recording session got underway. This could, after all, be the album that transformed the fortunes of Klaus Dinger and Japandorf. They had been collaborating since 1998. Since then, they had recorded two albums. Despite his best efforts, Klaus Dinger couldn’t interest a record company in either of the albums he had recorded with Japandorf. This was hugely frustrating for a man who had been a member of three of the most important groups in German music. Especially since he hadn’t released an studio album for nine years. The last new studio album that Klaus Dinger had released was Year Of The Tiger, the fourth album from La! Neu? It was released in 1998, and proved to be the last studio album that La! Neu? released. Meanwhile, Klaus Dinger was locked in a lengthy and expensive legal battle. That had been the case since 1997. Right through to 2004, Klaus Dinger was locked in a legal despute with Warner/East West. At stake were the mechanical rights to the three albums Klaus Dinger had recorded with La Düsseldorf. Eventually, after seven long years, Klaus Dinger triumphed. This was a weight off his mind. A year later in 2005, Klaus Dinger was still working on Viva Rimix 2010 and Japandorf at his Lilienthal Studio. Both were time consuming projects. They took their toll on Klaus Dinger’s finances. Things got so bad, that he had give up half of his Lilienthal Studio. This helped his cash-flow. 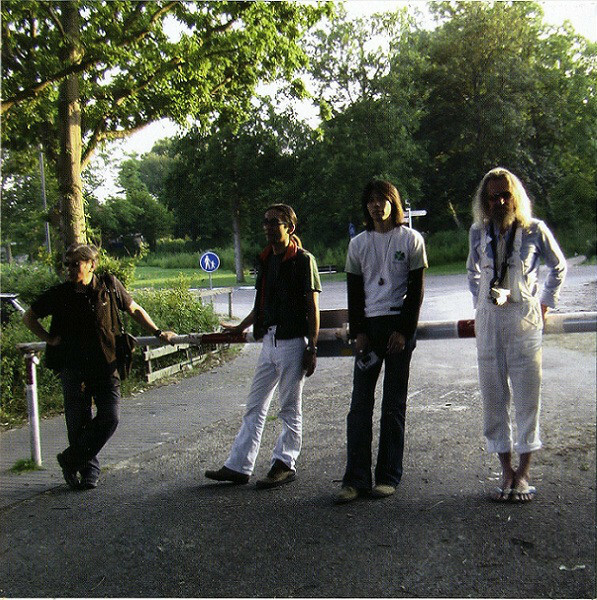 So should a CD reissue of La Düsseldorf’s album Mon Amour during 2006. When Klaus Dinger failed to agree to terms of the contract regarding the bonus track, Warner stopped distribution of the album. For Klaus Dinger this was a huge blow. A successful reissue of Mon Amour would’ve given Klaus Dinger a welcome injection of cash. Especially since Klaus Dinger and Japandorf were preparing to record their third album during 2007. By summer of 2007, Klaus Dinger and Japandorf were about to begin work on their third album at Zeeland Studio. Klaus Dinger’s recording equipment had been moved lock, stock and barrel from Lilienthal Studio to Zeeland Studio. Now Klaus Dinger who was about to produce Japandorf, was joined by the four members of Japandorf. They were no strangers to a recording studio, and had previously recorded two album albums with Klaus Dinger.Soon, two would become three. At Zeeland Studio, Klaus Dinger was joined by Japandorf. Their lineup featured drummer Kazuyuki Onouchi, keyboardist Satoshi Okamoto and vocalists Masaki Nakao and Miki Yui. Klaus Dinger switched between bass and guitar. Together, Klaus Dinger and Japandorf planned to record a trio of songs that they had been working on over the past eight years. This included Immermannstraße, Udon and Spacemelo. During the Zeeland Studio sessions in the summer of 2007, these three songs were recorded by Klaus Dinger and Japandorf. The recording of Japandorf was well underway. Over the next few months work continued on Japandorf at Dingerland-Lilienthal Studio. The sessions continued right into the spring of 2008. 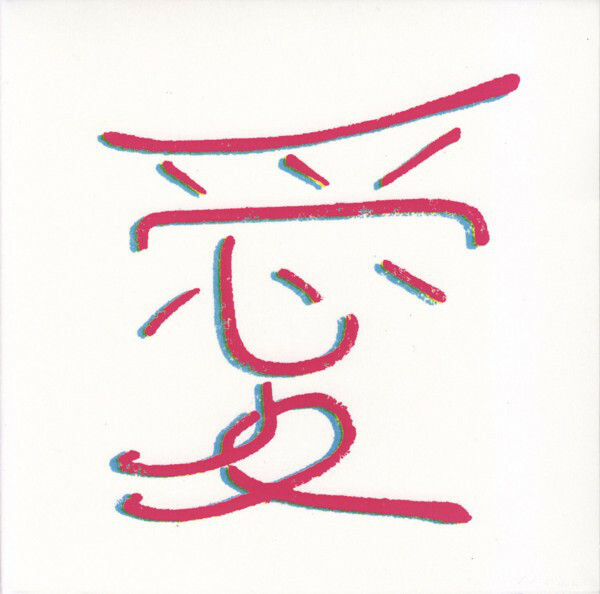 From February to March, Klaus Dinger and Japandorf recorded Cha Cha 2008, Sketch No. 4 and Sketch No. 1_b. The final song that Klaus Dinger wrote and recorded was Karnival. It also features Klasu Dinger’s final vocal. Little did anyone realise that this was the last song that Klaus Dinger would write or record. He sounded in good health as he laid down his vocal on Karnival. Gradually, Japandorf was beginning to take shape. Klaus Dinger and Japandorf had already recorded seven tracks. While this wasn’t quite enough for an album, a few more tracks and Japandorf would be complete and ready for release. Sadly, Klaus Dinger never lived long enough to see Japandorf released. Tragedy struck on Good Friday, 2008. Klaus Dinger passed away on the 21st of March 2008. He was just three days short of his sixty-second birthday. German music had lost one of its most talented sons. Suddenly, completing or releasing an album paled into insignificance. One of the members of Japandorf, Miki Yui, had lost her partner of eight years. This added to what was a tragic set of circumstances. The death of Klaus Dinger looked like the end of the Japandorf story. That wasn’t the case. In 2009, Klaus Dinger’s recording equipment was moved from Zeeland Studio to Lilienthal Studios. After that, Miki Yui and Kazuyuki Onouchi began work on finalising Japandorf’s last three albums. They co-produced the three albums. This included Japandorf. Five further tracks were added to the seven that Klaus Dinger and Japandorf had already recorded. Eventually, Japandorf was completed by 2011. Miki Yui and Kazuyuki Onouchi both received a co-producer’s credit. Kazuyuki Onouchi also mixed Japandorf, which was now ready to release. Originally, Klaus Dinger had planned to release Japandorf as a La Düsseldorf album. Klaus Dinger envisaged that Japandorf would be the long awaited followup to La Düsseldorf’s third album Individuellos, which had been released in 1980. However, there was a problem. Hans Lampe who had been Klaus Dinger’s partner in La Düsseldorf, hadn’t played on Japandorf. He was reluctant to allow Japandorf to be released as a La Düsseldorf album. As the release of Japandorf drew closer, Hans decided to block the release. This was another huge blow. Eventually, a decision was made to release credit Japandorf to Klaus Dinger and Japandorf. Given this was who had recorded the album between 2007 and 2008, this seemed an equitable solution. On March 25th 2013, Japandorf was released by Grönland Records. This was a poignant date. Klaus Dinger passed away five years earlier on the 21st of March 2008. Japandorf was the album that he hoped would revive his fortunes. Sadly, he never lived to see the album released. When Japandorf was released, most critics were won over by what was a genre-melting album. Japandorf found Klaus Dinger and Japandorf switching between and seamlessly combining musical genres. Elements of avant-garde experimental music, Krautrock, pop, post punk, psychedelia, rock and space rock can be heard on Japandorf. It’s a musical roller coaster, where Klaus Dinger and Japandorf throw a series of curveballs, as they change tack musically. However, Japandorf was also a very personal album. Klaus Dinger drew inspiration for Japandorf from Düsseldorf, the city he was born and spent most of his life. Similarly, there’s several references to Japan and Düsseldorf’s Japanese community. This includes Immermannstraß, which was home to many members of Düsseldorf’s Japanese community. However, on Japandorf, Immermannstraß becomes a glorious fusion of Krautrock and pop. This sets the bar high for the rest of Japandorf. Immermannstraß gives way to Doumo Arigato, which is the first of two field recording. This one was recorded in a Japanese bookstore on Immermannstraße. It’s followed by Sketch No. 1_b blistering slice of uber rocky music. Effects are deployed as Klaus Dinger aided and abetted by Japandorf roll back the years. The quality continues on Udon, which was recorded at Zeeland studios in summer 2000. One of Klaus’ close friends Nakao joined the recording sessions. As the tapes rolled and Klaus began playing his guitar, he announced that Nakao would: “now Nakao will tell us how to cook Udon.” That’s what he proceeded to do. Alas, the song lay unfinished until 2007, when Klaus decided to complete Udon. It’s another of highlights of the album. Having said that, Kittelbach Symphony is a truly beautiful, elegiac thoughtful and wistful track. 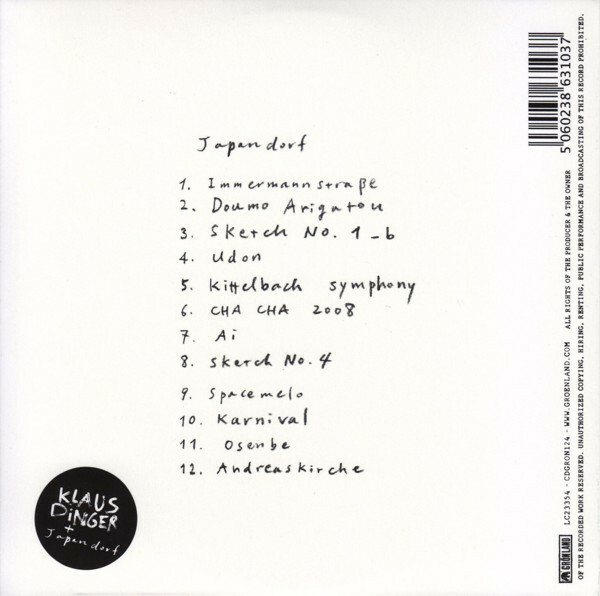 There’s also cinematic sound to Kittelbach Symphony, which shows another side to Klaus Dinger and Japandorf. Very different is Cha Cha 2008. It’s a much more experimental sounding track. Elements of Krautrock, dub and experimental music can be heard during. Later though, the track takes on much more rocky sound that’s not unlike No. 1_b. From there, Klaus explains Ai that the character on the front cover of the album means love. After that, Sketch No.4 is another effects laden fusion of Krautrock, psychedelia and space rock. At the heart of the track’s success, is Klaus’ guitar playing. He unleashes blistering, machine gun riffs during what can only be described as a virtuoso performance during this ten minute epic. Spacemelo was a rerecording of a song from Miki Yui’s 2001 solo album Magina. Klaus reinvents the track by inverting the melody and a new song, which is also called Spacemelo was born. Klaus plays the melody on his guitar, while a piano accompanies Miki’s tender vocal. Everything falls into place and creates a beautiful, melodic song. This Klaus follows up with Karnival, a very different sounding song. It’s about the carnival that happens each February in Düsseldorf. It’s a fusion of post punk and rock with a singalong vocal. The post punk influence is fitting, given the influence Neu! had on the punk and post punk generation. However, there’s also a poignancy to Karnival. It was the final song that Klaus wrote, and the last song to feature his vocal. Osenbe was recorded at Zeeland, with Klaus and Japandorf sitting round the outdoor fireplace. Klaus strums his acoustic guitar, and with Japandorf accompanying him, sings of Osenbe is a type of rice cracker made in Japan. This gives way to Andreaskirche, which is the second field recording on Japandorf. It features a ecording of the church bells of Andreaskirche where a young Klaus Dinger was a was a member of the choir. It’s a poignant and thoughtful way to end what was Klaus Dinger’s swan-song Japandorf. It brought to an end a recording career that began in 1971, when Klaus Dinger played on Kraftwerk’s eponymous debut album. This was the start of a long and illustrious musical career. Klaus Dinger cofounded Neu! with Michael Rother in 1971, before and then confounding La Düsseldorf and later La! Neu? Over a thirty-seven year recording career, Klaus Dinger established a reputation as a musical pioneer, who created groundbreaking music. That was the case right up until Klaus Dinger and Japandorf released their swan-song Japandorf. Five years after his untimely death, Japandorf’s genre-melting sound was hailed as a fitting swan-song to Klaus Dinger’s long and illustrious career. Japandorf was a captivating album where Klaus Dinger and Japandorf through a series of curveballs. It was a case of expect the unexpected as Klaus Dinger and Japandorf switched between and seamlessly fused musical genres. Everything from Krautrock, pop, post punk and rock rubs shoulders with avant-garde, experimental music, psychedelia and space rock. Japandorf was a potent and heady musical brew that one can’t help but drink deep. It was also an album to cherish and a fitting swan-song from one of the pioneers of German music, Klaus Dinger. ← REQUIEM-FOR A WORLD AFTER.